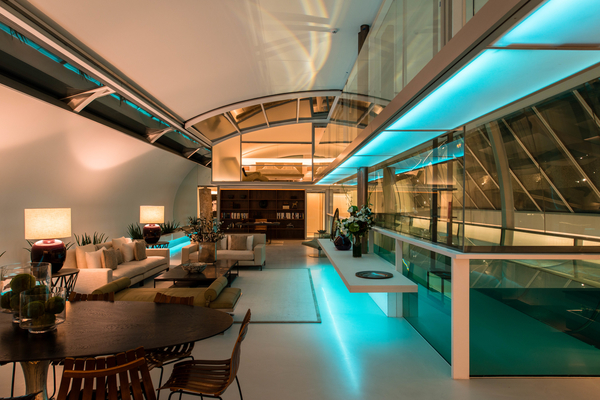 Callender Howorth offers comprehensive interior architectural design services for residential and commercial properties in Knightsbridge and beyond. 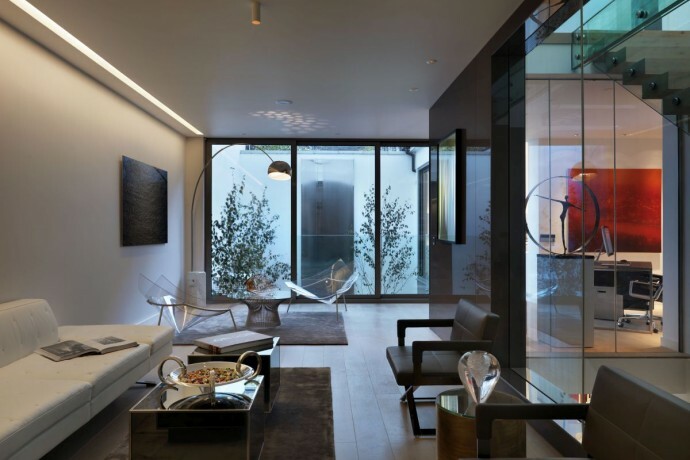 We are one of the most experienced Knightsbridge interior architects. Specialising in renovations and redesigns, among our varied bespoke interior design solutions, we have a proven record of excellence in the most prestigious areas of London. Our innovative team of Knightsbridge interior architects is ready to work with you to create your dream property in the exclusive area. As experienced Knightsbridge interior architects, we recognise the importance of replicating the elegant style of the area in the spaces we create. One of our commissions was to bring a rather bland and uninspiring Knightsbridge penthouse back to life. It has an enviable location close to Harrods, but the previous developer had ripped out all of its original features, so our team of Knightsbridge interior architects designed a large, modern fireplace and AV centre for the living room, giving the space focus and edge. Finishing touches included textured wallpaper, hidden wine fridges and wireless music systems and make this penthouse an address to remember. Knightsbridge has a high concentration of luxury commercial and residential buildings, owned by some of the wealthiest people in the world. The relatively small district, which runs south of Hyde Park, contains 275 listed buildings, many of which are luxurious, large-scale Victorian terraces that surround leafy squares. It is located close to the most famous building in London, Buckingham Palace. The palace has benefitted from the work of several Kensington interior architects, and has evolved in style from the early 18th century to the early twentieth century. It became the main residence of British monarchs after Queen Victoria moved there in 1837 and remains an iconic, internationally recognised landmark. Knightsbridge is located in an area of cultural and historical significance. Its position near Hyde Park and Kensington Gardens ensures its proximity to many of the sites commemorating the reign of Queen Victoria and Prince Albert. In fact, the Victoria and Albert Museum is the world’s largest permanent exhibition of decorative arts and design, spanning 5,000 years of international art. The Science Museum and Natural History Museum are also in the vicinity, and the latter is renowned for its dinosaur skeletons and huge collection of insect and plant specimens. St James Theatre is one of the newest in the city and is a wonderful venue to catch a contemporary show and enjoy a meal in the brasserie. Knightsbridge is synonymous with luxury shopping; the hallowed boulevards are home to revered brands, such as Dior and Burberry. The most celebrated department stores in the district are Harrods and Harvey Nichols. If all the shopping makes you hungry, take a rest at the fabulous Art Deco steakhouse Hawksmoor, which is conveniently located between the two iconic stores. There are dozens of exclusive restaurants in the area with Rivea, Mr Chow and Zuma standing out within the competition. The area is also renowned for its vast range of exclusive bars including Blue Bar, Buddha Bar and Bulgari’s luxurious five-star hotel. Lovers of fine art will appreciate that the world’s leading art business and auction house, Christie’s, has a salesroom on Old Brompton Road. Why would you want to live in Knightsbridge? Knightsbridge benefits from a high concentration of excellent pre-prep and prep schools. Knightsbridge School is a co-educational school for children aged 3 to 13 years, which has gained a good reputation in the ten years it has been open. Despite being more famous for its streetscape and shops, the area is near to several attractive open spaces including Hyde Park, Kensington Gardens and Chelsea Embankment Gardens. The property market has seen the emergence of new super-prime apartment buildings, such as One Hyde Park, which tend to attract billionaires and wealthy bankers from abroad. If you are interested in taking advantage of the professional services offered by Knightsbridge interior architects, Callender Howorth, please contact a member of the team. We are more than happy to visit you to discuss your requirements.